ACUTHERM 3223 is a concentrated “combination cycle” scale and corrosion inhibitor for steam boilers. ACUTHERM 3223 is designed to provide protection in all types of boilers operating at up to 650 psig where feedwater hardness may be low or high. Advantages :• ACUTHERM 3223 is very effective in controlling boiler oxygen pitting, corrosion and boiler scaling and fouling. 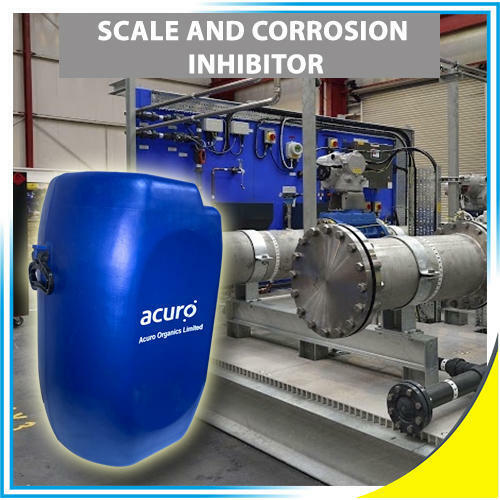 It provides “on line” cleaning of carbonate scale and will disperse iron and other foulants in the boiler drum.ACUTHERM 3223 is a proprietary “combination cycle” boiler treatment. ACUTHERM 3223 contains a special blend of organic phosphorous compounds, polymeric scale inhibitors, dispersants, chelants, alkalinity builders, and oxygen scavengers in a single easily applied product. ACUTHERM 3223 offers much greater flexibility in dosage without over-treatment or under-treatment of a boiler system when compared to a typical phosphate cycle treatment program. This makes it a much easier program to control, requiring significantly less testing.• ACUTHERM 3223 is acceptable for treating boilers or steam lines where the steam produced may contact edible products and/or cooling systems where the treated water may not contact edible products in official establishments operating under the Federal meat, poultry, shell egg grading, and egg products inspection programs.